Thanks to its professional InverterTechnology motor, this cooker hood does more than freshen up your kitchen: it also uses energy efficiently, and is super quiet. The integrated LED lights in this cooker hood have a built-in dimmer – so you can adapt the illumination of your kitchen for every occasion. These touch electronic controls on the cooker hood give you the smoothest way to select the right extraction speed. What's more, you can also use them to adjust the light levels. 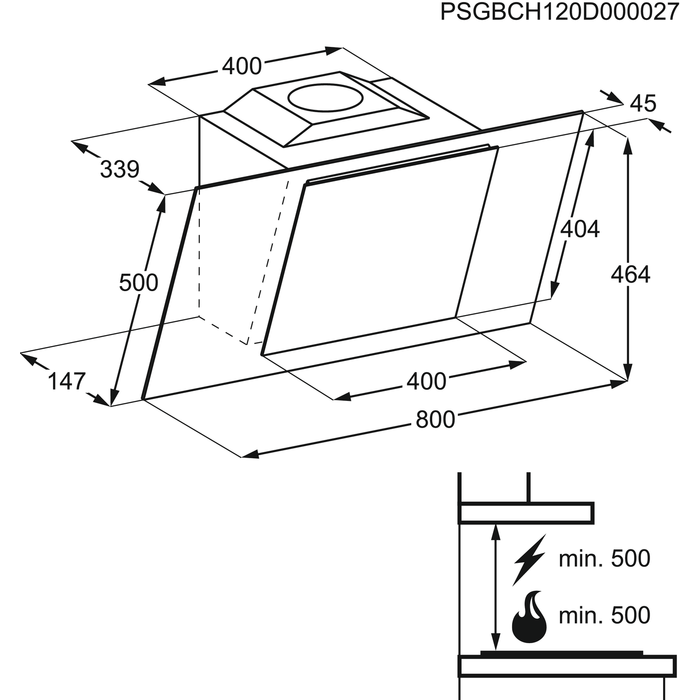 Because this cooker hood uses perimetral aspiration, it whisks away odours with super efficiency. And to give you the best of both worlds, it's also easy to clean. Thanks to this cooker hood's time-to-change indicator, you will always know exactly when to change the filter. That way, your hood is always super effective.